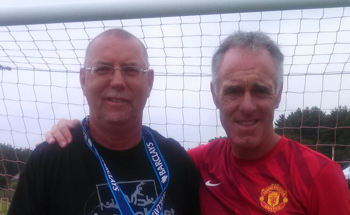 John with Eric Steele, GK Coach for Manchester United. How would you like a professional coach to come to your town and run a week of clinics specifically for your goalkeepers? 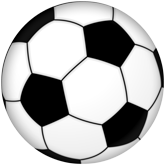 I offer 8 hours of coaching, 2 hours per day Monday – Thursday, with Friday as a rain date, in July or August to work on all aspects of goalkeeping including dealing with high balls and crosses, shot stopping, breakaways, narrowing the angle, distribution, footwork and agility, reactions and reflexes, deflections and extension saves. Minimum number of ‘keepers required is 8. The cost will be $99 per player. Interested? Contact me to discuss dates and times.